The last couple of weeks have seen a bumper harvest in the British Recycled Plastic news orchard; we no sooner open our Windows than a ripe juicy news apple falls from some branch of the Internet and into our digital lap. Too many plant-related metaphors you say? 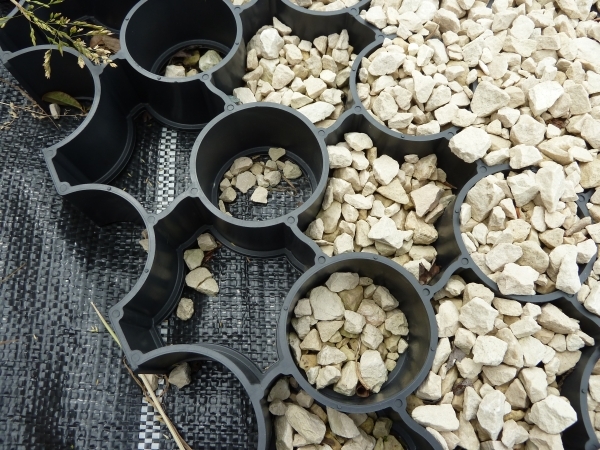 It’s just an attempt to make welcome the hordes of excited gardeners presumably flocking to read about Hebden X-Grid since recycled plastic permeable paving hit the mainstream this past fortnight. Hebden X-Grid makes a great driveway, whether you fill it with gravel or soil. First it was the BBC’s Gardeners Question Time recommending the use of permeable paving in reclaiming urban driveways as the gardens they used to be (https://britishrecycledplastic.co.uk/bbc-joins-conversation-permeable-paving/) and now we learn that the Royal Horticultural Society suggests our sister site https://www.ecopaving.co.uk/ and our beloved Hebden X-Grid as their choice for the same application (https://www.rhs.org.uk/advice/profile?pid=878) . As you’d expect from the RHS, they’ve been amazingly thorough in covering all the many reasons to choose permeable paving over, say, tarmac – flood reduction, increased green space, even better social connections with your neighbours (because you can’t help but meet people when you’re out tending the flowers). We couldn’t have done better ourselves, do go check it out. We here at British Recycled Plastic have a particular love of this product; we’re based in the Calder Valley, which has seen particularly devastating floods in recent years. Limiting the amount of tarmac and increasing the routes by which rainwater can be absorbed by the soil is of vital importance for the survival of areas like ours. We’re extremely proud to see the increase in awareness of these real ecological benefits and how we can help to limit the spread of the concrete jungle. And of course we’re helping to keep waste plastic out of landfill with every grid. 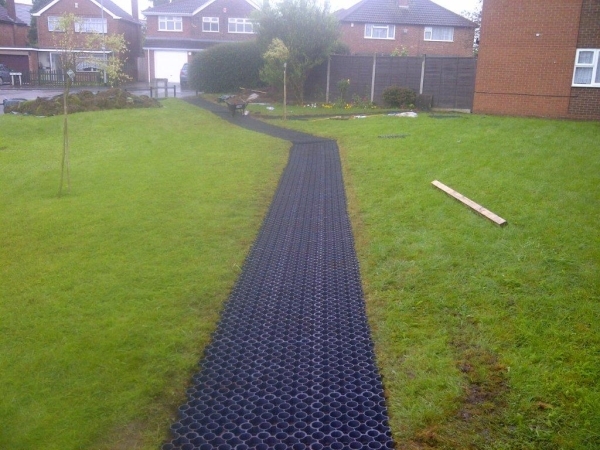 If all this publicity has given you some ideas about how you would use Hebden X-Grid, you can find yet more information at https://britishrecycledplastic.co.uk/permeable-hebden-grid-pavers-suds/. We look forward to hearing from you.